Black is the sky late at night. Black is the colour when I shut my eyes tight. Black was the colour of the day on 22nd February , Monday, for the little Wittians in Playgroup at Witty World. 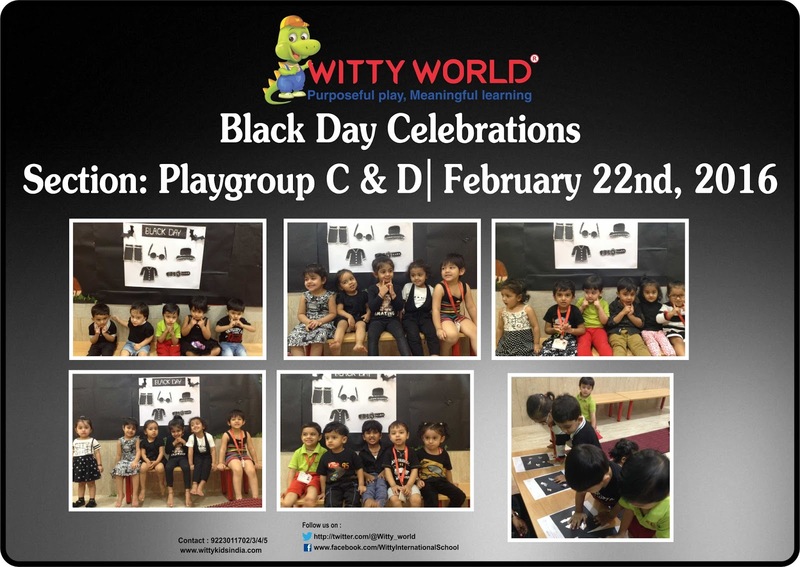 They all came dressed in Black, to celebrate Black Colour Day ”. Different objects, all black in colour, were shown and related rhymes too were sung. 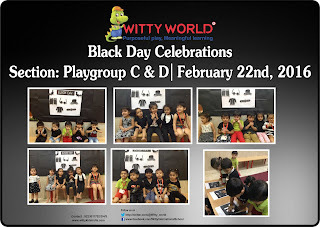 The class was also decorated with black colour objects. 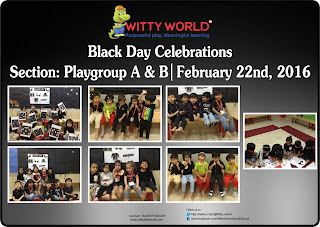 Children enjoyed the Black day celebration.